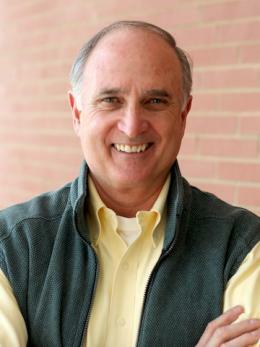 Music director at the UU church of Kent, Hal Walker returns to Summer Institute for his 21st year of music leadership. Hal’s true passion is melody, harmony, rhythm and building community through music. Vanessa Vesely is the accompanist at the Kent Church. Come spend a little time remembering how to color between the lines… or not, as you prefer. Coloring is the perfect artistic endeavor for those of us who don’t consider ourselves artistic, as well as for those who are. Choose a design page from flowers, mandalas, animals, abstract design, and other options. Then choose a a coloring utensil from colored pencils, gel pens, and markers, or any mix of these. I’ll put on some tunes and we’ll color like it’s 1984! (Or whenever you were in elementary school). Gina is a member of First Church in Columbus and realized a few years ago that although she doesn’t have an artistic bone in her body, she can add some color to something someone else drew and feel like a true artist. Each afternoon will begin with a brief wine tasting lesson, and then explore a different wine region of the world. Your wine guide will share information about specific growing areas while we sample a mix of whites, reds and a dessert wine to satisfy a variety of palettes. Participants will learn how to describe wine, and why they like the wines they do! We’ll enjoy wines from Australia, Europe, Africa, Argentina and Chile, as well as the U.S.
Amy Collins has been a wine consultant with The Traveling Vineyard for about 12 years. She loves demystifying wine for those intimidated by it, and expanding the minds of those who are already fans. She’s been known to transform the occasional “common sewer to a connoisseur.” Wine glasses and Note Taking sheets will be provided. Things participants should bring: Open minds, a few bucks to toss in to the free will kitty to defray the cost of the wines, and optional wine­friendly munchies to share. It’s five o’clock somewhere! Vintage and craft cocktails are making a comeback. Join Jennifer and Lois to learn how to make sophisticated libations that you can wow your friends with. Each day, a different aspect of cocktailing will be highlighted ­ from terminology and equipment to techniques, ingredients, and garnishes. A featured drink that demonstrates an aspect of the day’s discussion will be prepared (with help from participants) and sampled by all. Lois Weir and Jennifer May are foodies who love to garden, cook, entertain, host dinner parties, and drink. In their professional lives they are an engineer and a project manager, respectively; so expect the workshop to be both nerdy and well­ organized, as well as delicious. Things participants should bring: A thirst for knowledge of all things cocktail. This is a workshop in reading poetry. We will read and discuss poems on a variety of subjects. Topics for 2018 have not been decided yet, but in the past we have discussed poems about love, nature, UU principles, social justice, and the meaning of life; by such poets as Emily Dickinson, WB Yeats, Seamus Heaney, Robert Frost, African American poets, Billy Collins, Mary Oliver and others. Dean isn’t an academic. He has long been an avid reader of poetry, and for the past 15 years or so he has facilitated a poetry reading circle at his home church, the UU Church of the South Hills in Pittsburgh. The Summer Institute poetry workshop grew out of that experience. Things participants should bring: Their imagination and curiosity. Why stand in line for dinner at 5:00 when you could be singing in community? The Sacred Song Circle is open to everyone regardless of past singing experience or perceived expertise. It isn’t just for “good voices”. It’s an opportunity to sing easy songs with positive themes in community. Singing in community is good for your mental, spiritual and physical health and well­being. So come join us from 5:00 till 5:30 for 30 minutes of harmony. You’ll be glad you did. The Sacred Song Circle is led by Saunis Parsons from the UU Church of Kent. This is a spiritual practice she developed to encourage the benefits of singing in community. Saunis has been singing for her whole life and loves to share her passion with others. She really looks forward to leading the Sacred Song Circle at Summer Institute. What participants should bring: Water to wet your whistle.